Fall is in the air, and I find myself craving jewel tones. Thankfully, Couture Gel Nail Polish has just the colors I had in mind. First up, Amethyst Crush. This is the color I used as the base for my mani this week. And I have no clue how to describe it. Maybe a purple leaning wine? And once again, my light box picture doesn't capture the full effect of the incredible shimmer. Up next is Aloe Very. This is my all time favorite green. It has a shimmer that causes it to look like different shades of green depending on the light. 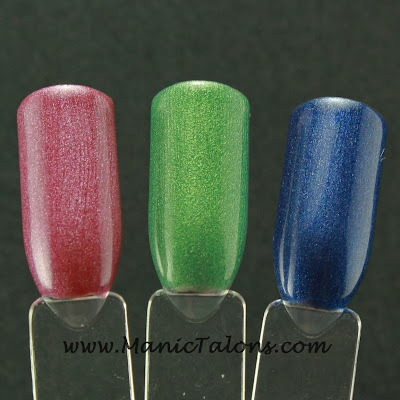 Plus it is extremely pigmented, which makes it a great green for free-hand leaves. Last, but certainly not least, is After Midnight. This deep, shimmery blue just screams Sapphires to me. I wanted to wear it this week, but I've been stuck on blue for months now and didn't feel like I should do yet another blue mani. All three of these colors are extremely pigmented and opaque in two coats, but I swatched three anyway just to be consistent. 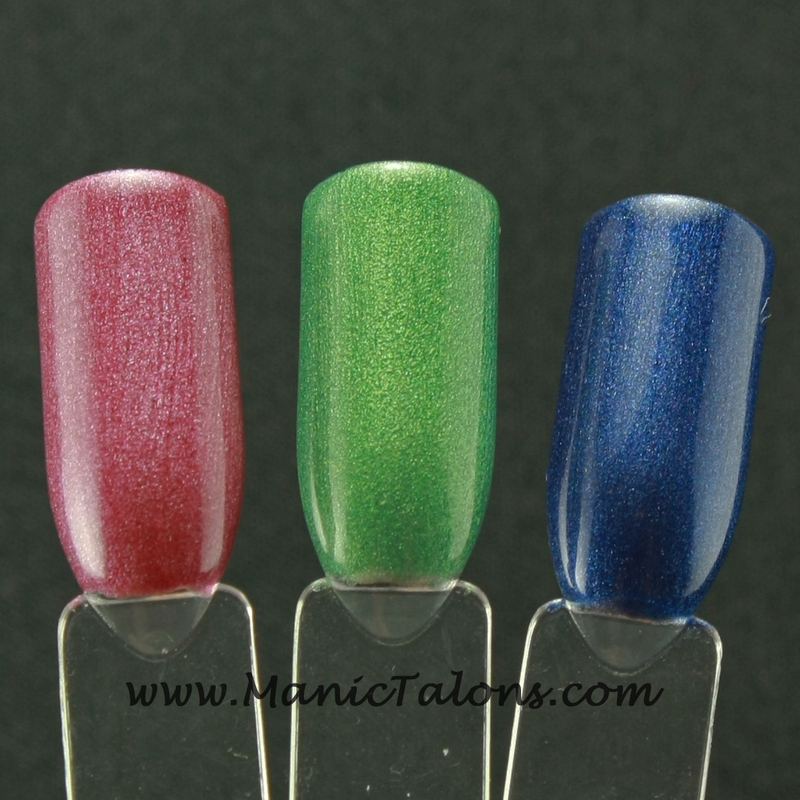 The picture of the swatches below are held at an angle to capture the shimmer. I really love Couture. Not only is there a huge selection of colors, but it is also the only DIY brand that I know of with full size bottles. I love all three! I've see you use that green in nail art and it seems to be the perfect green for that!